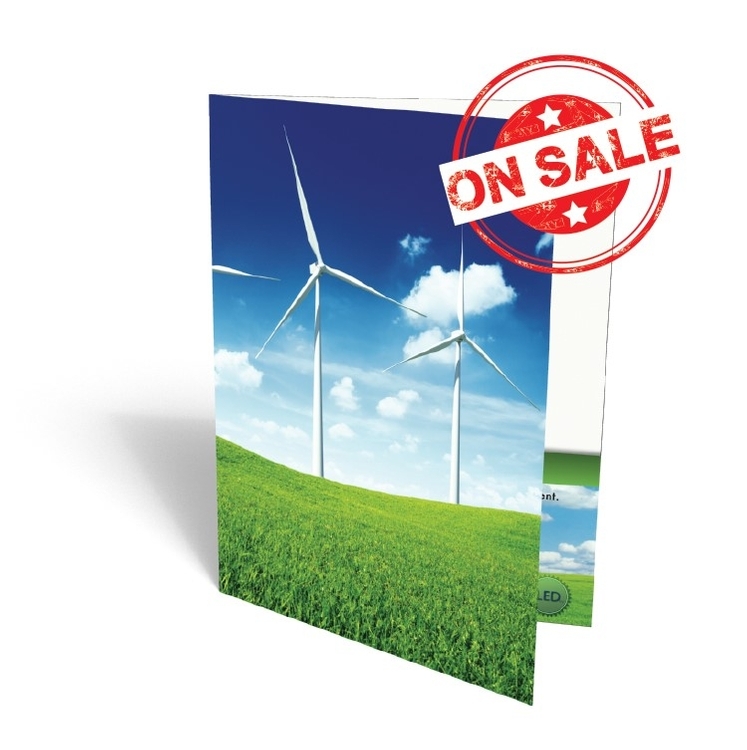 These folders have some of the lowest prices in the U.S. with 2-4 day standard turnaround times. Same Day and Next Day Rushes are available. Standard pocket folder with 9" x 12" finish and two 4" pockets. Full color printing 4/0 with option for full color both sides 4/4. Printed on Topkote 14 pt C2S paper. Options for gloss/dull varnish or UV coating. Uses are:Presentation Folders, Presentations, Business, School. No set up fee, free first PDF proof. Free Gloss Finish Included. Other Finishes are available for small upcharge, dull, satin, flood UV, matte, spot UV.